Ethics is ‘everybody’s business’, and at the Fourth Global Symposium on Health Systems Research (HSR2016) in Vancouver last year, the stream on ‘Equity, rights, gender and ethics’ gave greater prominence to this topic than in previous years. We hope that ethics will be given the same prominence in Liverpool at HSR2018. With this in mind, we wanted to reflect on the on the ‘ethics’ highlights from HSR2016, and hopefully inform the themes of next symposium! 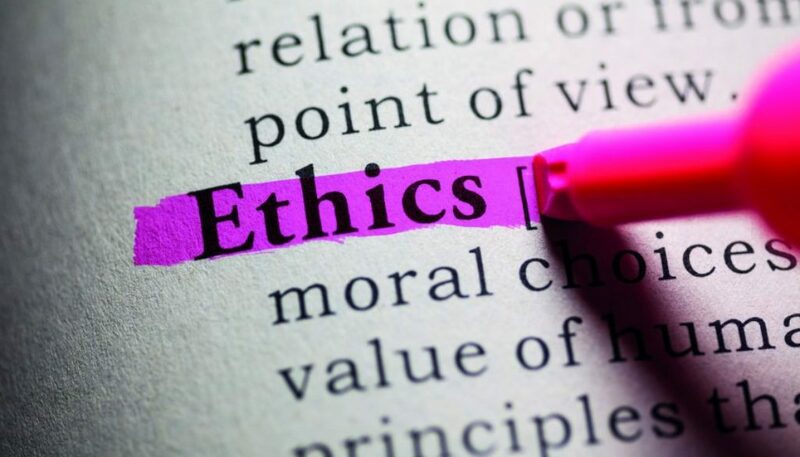 It’s clear that health systems research ethics should address the broad justice questions that can be relatively neglected in biomedical ethics. In all the sessions, there were many discussions about social justice, including the need to critically examine priority-setting and resource allocation, as well as understand and challenge root inequities. If health systems research is to contribute to reducing disparities in health and wellbeing, it should address broader social justice questions. Genevieve Dubois-Flynn, in her session, emphasised that the concepts of inequity and equity express a moral commitment to social justice and the need for action to eliminate underlying social disadvantage or marginalisation. Adnan Hyder and Bridget Pratt led a session which considered how research priority setting (at global and national levels and by funders and research institutions) can be better structured to address the needs of disadvantaged and marginalised groups within countries. The session called for reliance on a deeper concept of inclusion in priority-setting; one that goes beyond achieving a range of stakeholders and incorporates consideration of equal voice (raising voice and being heard) and depth of non-elite participation (control, shared-decision-making). It also proposed using social value as a priority-setting criterion, where greater social value is defined as research that offers the greatest benefit to disadvantaged and marginalised groups. A critical examination of more obvious or common micro-level ethics questions remains essential, such as examining how individual consent processes unfold on the ground. Dorcas Kamuya highlighted how gender and power shape consent processes and interactions in complex ways on the ground, with important implications for household decision-making and the kinds of support that frontline research staff need (a paper on this topic is in press in BMJ Global Health). The latter requires careful attention given the essential interface role these staff play between health and research systems and communities, and the strong hierarchies and power inequities in many organisations and institutions. In practice, all health policy and systems researchers have to consider their obligations and responsibilities in the face of multiple needs and inequities. A careful and difficult balance between understanding and respecting local norms and processes, and considering if and how to respond to needs and inequities identified. Regarding the last point, there is clearly no ‘one size’ simple solution: researchers’ responsibilities can include direct or indirect interventions, and shorter and longer term actions and strategies at different levels. In these contexts, a basic ‘do no harm’ principle needs constant revisiting; good intentions are not always enough and can bring unintended problems for those with least voice or power. Recommendations and guidelines can be helpful in supporting ethical practice, but are not enough in themselves. New ethics guidance for global health research were shared at the Symposium to complement existing guidance, and inform policies and priorities for global health research. The Principles were developed by the Canadian Coalition for Global Health Research (CCGHR) through a multistage, dialogue-based process with 300+ participants from diverse backgrounds and cultures, including the global South. The Principles encourage researchers and others to adopt more ethical and equitable forms of global health research. They include: humility, authentic partnering, inclusion, responsiveness to causes of inequity, shared benefits, and commitment to the future. The Principles recognise that an ethical approach to health systems research and practice involves far more than uncritically following requirements and recommendations, it requires researchers to critically examine and challenge gender and other intersecting forms of inequity throughout the entire research process. The Principles underscore that considerations of the social, economic, and political conditions in which research is being conducted are core ethical concerns. They constitute an innovative learning tool to support researchers to question their own assumptions about the root causes of health inequities and their role in addressing them. What next for the Ethics of Health Systems Research Thematic Working Group? The discussions on rights, justice, inequity, gender and intersectionality, participation and voice, and resources and control were heard throughout HSR2016, and are all fundamental ethical concerns. As a Thematic Working Group (TWG) for Health Systems Global (HSG) we plan to take forward these discussions by adding a focus on power, politics, equity, and rights, and continuing to promote a recognition that ethics is everybody’s business. With HSR2018 in our sights, a key priority is to broaden the voices contributing to ethics discussion and debate. To join our TWG please get in touch with us through our webpage. We look forward to hearing from you!